It’s Halloween, so what could be scarier than legal research? Luckily, the Library has How-to Guides to our legal databases for those new to research or those looking to brush up on their database skills. Our latest guide is How to Use Fastcase. Fastcase is a legal research service which provides access to state and federal law documents including federal bankruptcy, tax courts, US Supreme Court, federal district and courts of appeal cases as well as federal and state statutes and regulations. This guide focuses on how to use Fastcase on the Library’s public computers, though there is also a Fastcase mobile app available for iPhone, iPad, Android, and Windows Phone devices as well. Fastcase is available on all of the Library’s computers. 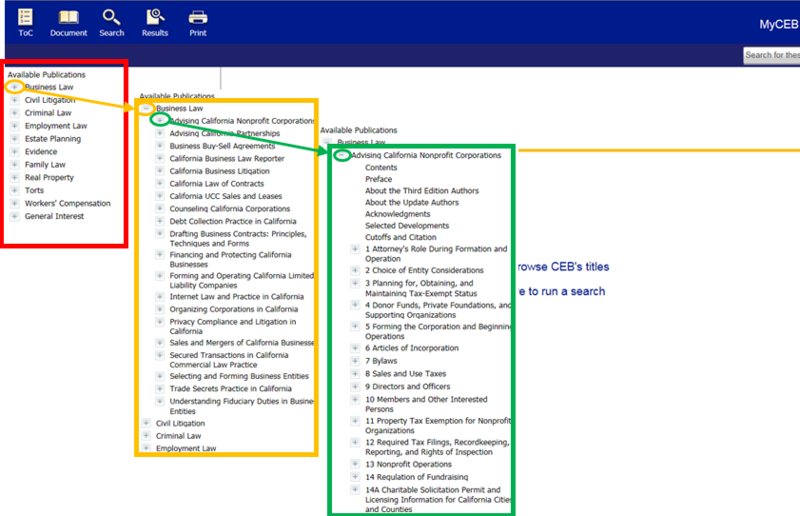 For more database help, check out our How to Use CEB OnLAW, and look for our upcoming How-to Guides on Westlaw and Lexis. Categories: Resources | Tags: Databases, Fastcase, LibGuides | Permalink. Do you have a legal issue, but cannot afford to hire an attorney? There are many ways to obtain free or low-cost legal help, and our new guide, Free or Low-Cost Legal Services, conveniently gathers together many local legal service providers in one place. Some, but not all, of the services listed in this guide are reserved for people of low-income. The local resources in this guide are organized in two ways: by topic (landlord/tenant, immigration, etc.) and by organizations that assist specialized populations (e.g. Hispanic, disabled, elderly). Click on a topic or population to view a list of organizations that provide services for that topic or population. There is also a full list of the legal service organizations which you can search. We will update the guide whenever we find new organizations, so be sure to check back in. Categories: Resources | Tags: Free Legal Aid, Legal Services, LibGuides | Permalink. June is Elder Abuse Awareness Month, and the Library has a brand new research guide on the topic. From high profile figures, such as philanthropist Brooke Astor and Marvel’s Stan Lee, to our friends and neighbors, elder abuse affects everyone and can come in many different forms, ranging from physical to financial abuse. As the global population ages, protecting these vulnerable members of society from exploitation, neglect, and other injuries has become a growing area of the law. Elder law covers many different fields, including probate, finance, insurance, criminal law, and torts. The San Francisco Law Library Guide to Elder Law focuses on elder abuse, though many of the materials included also relate to broader aspects of elder law. The guide collects key California resources on statutory and other remedies against financial and personal abuses from family members, strangers, and caretakers, including reporting resources, planning for long-term care, and for proceedings for guardianship, conservatorship, and other legal approaches to safeguarding the lives and assets of elders. This guide highlights print and online resources, both in and outside the library, for practitioners and members of the public, including information on obtaining free to low-cost legal services and how to file a restraining order. This guide will grow to encompass different facets of elder law, so be sure to check back in for updates. In addition to our recently published guide How to Use CEB OnLAW, you might also be interested in our research guide on Domestic Violence Resources and Veterans Resources. Categories: Resources | Tags: Elder Abuse, Elder Law, LibGuides | Permalink. 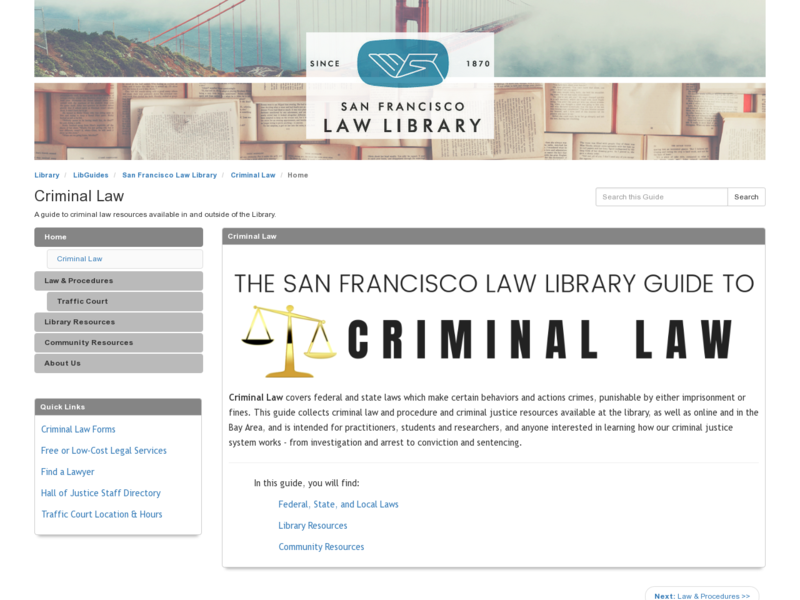 Did you know that the San Francisco Law Library offers free online access to CEB titles? OnLAW includes over 150 Continuing Education of the Bar, or CEB, publications, including practice guides, action guides and downloadable forms. OnLAW can be accessed from within the library. In addition to OnLAW, SF Law Library offers free access to Westlaw, Lexis Advance, HeinOnline and more. Categories: Resources | Tags: CEB, Databases, LibGuides, OnLAW | Permalink. Today, May 21, 2018, is the last day to register to vote for the June 5th Statewide Direct Primary Election. Just in time to make this deadline, the San Francisco Law Library has updated our Elections LibGuide with information on candidates and ballot measures featured in the June 5th Election, as well as how to register to vote, where to vote, new materials we have added to our print collection, and more. For more information on this and other elections, visit the SF Department of Elections and the California Secretary of State’s Elections and Voter Information Page. Categories: Resources | Tags: Elections, LibGuides, Voting | Permalink.